Arif Nihat Asya might be the most silent of all political poets. People know him as the poet of the famous poem "Bayrak" (The Flag). And he might also be known for the poem "Dua" (The Prayer), which begins with the verses "We are the hoarse voices... Do not leave minarets alone, without azans," which was read by the prime minister in the latest Istanbul meeting. Those who know him are mostly aware of humor in his "rubaies." Arif Nihat Asya is not a very famous person if we do not mind his fellows and students. In the world of politics, he was a representative from Seyhan, Adana, and then from Eskişehir. He is commemorated only on the anniversary of his death, or when removing a part of his poem "Bayrak" from the national education curriculum becomes an issue, he is briefly discussed. "Bayrak" is more famous than its author. This poem has been used ideologically, which is probably the reason it gained an identity as a lever poem. Nationalism or heroism is always used to express emotions and is always current. Those opposing the poem oppose it for this reason. And this poem made his poet a flag day by day. "Bayrak" has an interesting story. With respect to the poet, he was a teacher in Adana Male High School in the year 1940. Hatay had recently been given to Turkey. A nation rejoiced for Hatay and the surrounding area and of course Adana. The anniversary of the salvation of Adana from French occupation is Jan. 5. This day is celebrated with great joy each year. In these celebrations, a giant Turkish flag is hung between the Big Clock and the Little Clock (this is the Big Clock Tower in the city center of Adana, which gives its name to Turgut Uyar's collected poems and the minaret of the Big Mosque; there is also the Little Clock. Both these clocks are now in separate districts in Adana). The Education Directorate wrote to the school and wanted the celebrations in Adana to be more vehement due to Hatay's return: "One of the students in your school must recite a suitable poem for Jan. 5." The head of the school chose Arif Nihat for the mission. Arif Nihat mentioned this to his friends. However, the students could not find a "beautiful and rarely-heard" poem as their teachers demanded, so Arif Nihat decided to write a new one. Now, let the poet talk: "So, what? I said to myself, 'Arif, you will write this poem!' The next day is Jan. 5. I live in the Ocak neighborhood of Adana. There used be no electricity. We used to light petroleum lamps at nights. When everyone slept, I took a pencil and nestled in our flag under the tired light of the lamp. The poem was ready by dawn. The poem stayed as it was that night. I did not revise it." Arif Nihat gave the poem to a student who was able to recite it well; and he read the poem both in Big Clock Square and at Halkevi in the evening. Those at Halkevi liked the poem and were interested in its author. The student said he did not know and said: "My teacher Arif said that if they asked who the poet was, say you do not know, too." His modesty was obvious. Arif Nihat was one of the poets of the 1900-generation. He was the peer of great authors and poets, such as Necip Fazıl, Nâzım Hikmet and Ahmet Hamdi Tanpınar. He was born on Feb. 7, 1904, (Arif Nihat's zodiac sign was Aquarius, and it is meaningful that his last book's name was "Aquarius"). He saw the light of day in the village of İnceğiz, Çatalca, Istanbul. His name was Mehmed Arif when he was born. This is something seen frequently for those who were born before the Surname Act. Mehmed was his middle name (probably coming from his grandfather), his ordinary name was Arif and the name of his father was Nihat. Asya (Asia) was the surname the poet took after being inspired by a worldview supporting the East. Arif Nihat learnt how to read from his village's imam by learning the Qur'an. After the wars, a great migration began, and Arif Nihat's family chose to live in Istanbul. 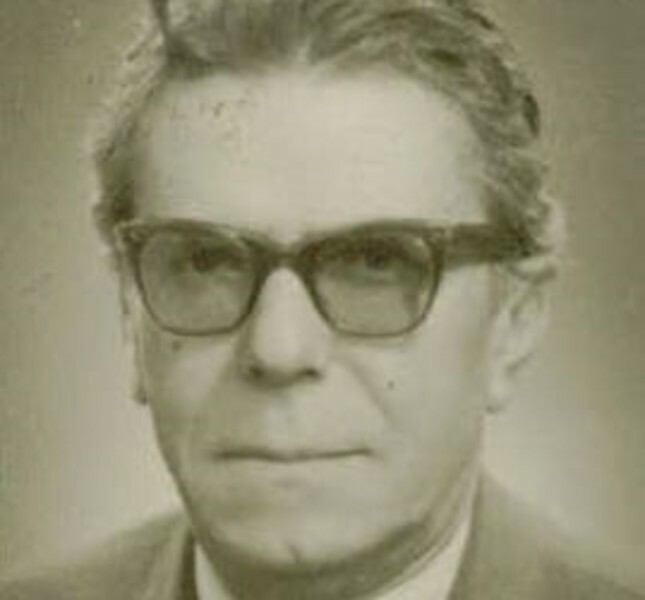 He was educated in local schools in Kocamustafapaşa and Haseki. Upon mentioning Kocamustafapaşa, it is hard not to remember Yahya Kemal's words: "remote and poor Istanbul." Arif Nihat Asya was the child of a neat family that emigrated from a village of Istanbul to this remote and poor Istanbul. It is necessary to assess his nationalism, Islam and support for the East from that point. Then, as boys of most poor families did, he went to the Higher Teacher Education School. Oh, how many men of letters studied in this department of literature of Istanbul University? After completing his university education, Arif Nihat began teaching, and most of his life was spent teaching high school in Anatolian cities. He taught literature just like many poets of his generation. He taught in Adana, Malatya, Edirne, Tarsus, Ankara and Cyprus. He was known and loved by the people of Adana where he lived as a teacher for a long time. And then, Arif Nihat Asya was chosen as the representative from Seyhan for the Democrat Party in 1950 and joined the Grand National Assembly of Turkey. We infer from a speech by Müfit Erkuyumcu, the Democrat Party representative of Balıkesir, that he was relatively active in the assembly. Erkuyumcu responded to Arif Nihat Asya's critical comments about him in the sixth session of the Grand National Assembly held on Nov. 19, 1952. According to Erkuyumcu's speech, Arif Nihat complained that a bill to amend the 141st and 143st articles of the Turkish Penalty Code, which dealt with political crimes, was put aside. Erkuyumcu defended himself. We have no idea about Arif Nihat Asya's opinions and attitudes related to this issue because these were conveyed orally. Yet, character is character. A poet is a poet even in the Grand Assembly. How humorous were Arif Nihat's words as conveyed by Erkuyumcu: "I've heard that the bill of law concerning the 141st and 143nd articles belonging to Şevket Mocan and other friends was locked in a drawer for a long time. If the news is not wrong, I hope that our friend, who went away after locking the drawer and putting the keys in his pocket, behaving as a kind of jeweler, (Erkuyumcu means "jeweler" in the Turkish language) was concerned to conserve such a bill of law." The poet of "Bayrak" applied two figures of speech to Müfit Erkuyumcu's surname: Reference and humor. One wishes to say that no punches, but poets, humorists have their words in the Grand Nation Assembly. Arif Nihat Asya returned to teaching after working as the Eskişehir representative. Then, after a few years, he retired. Although he wrote for newspapers, Arif Nihat published only poetry books. He has 16 books, five of which consist of "rubaies." The most famous of these abundant books are "Bir Bayrak Rüzgar Bekliyor" (A Flag Waits for the Wind), published in 1946, and "Dualar ve Aminler" (Prays and Amens), published in 1967. Arif Nihat Asya died on Jan. 5, 1975, in Ankara, at the age of 70. His tomb is in Karşıyaka Cemetery in Ankara.